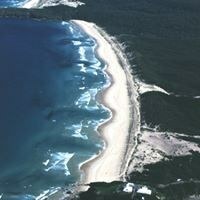 The Coastal Morphology Group of the Department has created a page for the dissemination of its research. The members of the Coastal Morphodynamics Research Group have recently created a page on facebook about the dissemination of the research group (https://df.upc.edu/en/morphos) and related topics. The page is called "Beach Physics" and the link is: https://www.facebook.com/morfoalbert/. It is designed for students of high school, career, non-specialist researchers and the general public.